This is a Biopic and you cant expect anything more than this..!! 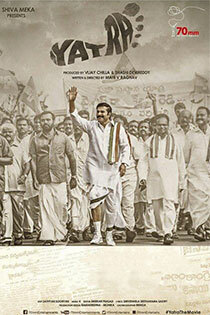 The Director has done a good job and Mammukka is the best in this movie. I watched Yatra in tamil and I found the dubbing is much better there than this.. Nothing on Mammukka, but the story is based on rajasekar reddy, who has been accused of looting of the then Andhra Pradesh. His son is still trying by all means to become CM and resume his looting. He is not worth a story to have Mammukka as lead. Sad more people believe in leaders who just talk than leaders who actually do work for them.